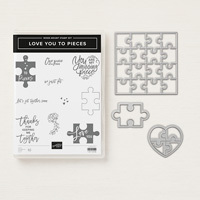 Love You to Pieces Clear-Mount Bundle by Stampin' Up! Create puzzles and other exciting projects with this endearing stamp set. 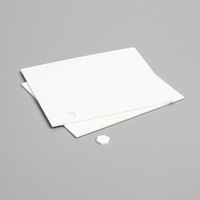 Create various die-cut puzzle pieces in record time with Thinlits dies and the Big Shot. 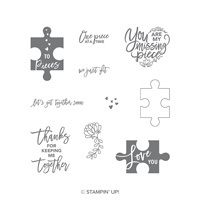 Make your stamped creations an interactive game by using the large puzzle piece die. 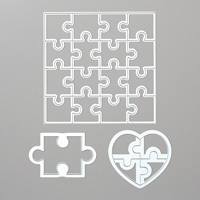 The large Thinlit cuts out 16 puzzle pieces while the heart has four pieces.